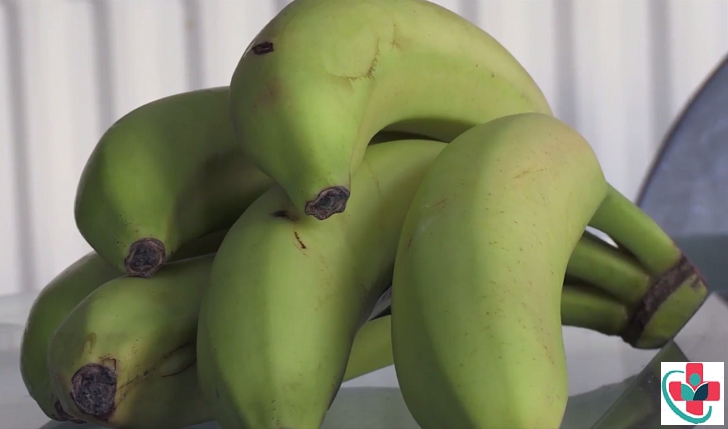 Green bananas prevent food bulging. The fact that they are high in fiber and contain resistant starch reduces your calorie intake. Help in weight loss. If you want to lose weight, you better include plantain recipes in your weight loss journey. Since green bananas control your calorie intake, you end up losing weight. According to a recent study, the resistant starch found in green bananas increases fat burning by blocking the ability of the body from using carbohydrates as fuel and instead forces the body to use fat. Help people with Type 2 diabetes to control their blood sugars (the resistant starch increases insulin sensitivity ). Plantains/green bananas keep the digestive tract healthy (they act as food for friendly probiotic bacteria). The good intestinal bacteria ferment the resistant starch in green bananas and use it to make energy. In turn, this helps to drive away the bad bacteria that causes chronic colon problems and diarrhea. Green bananas are a good source of vitamin B6, vitamin C, and potassium.